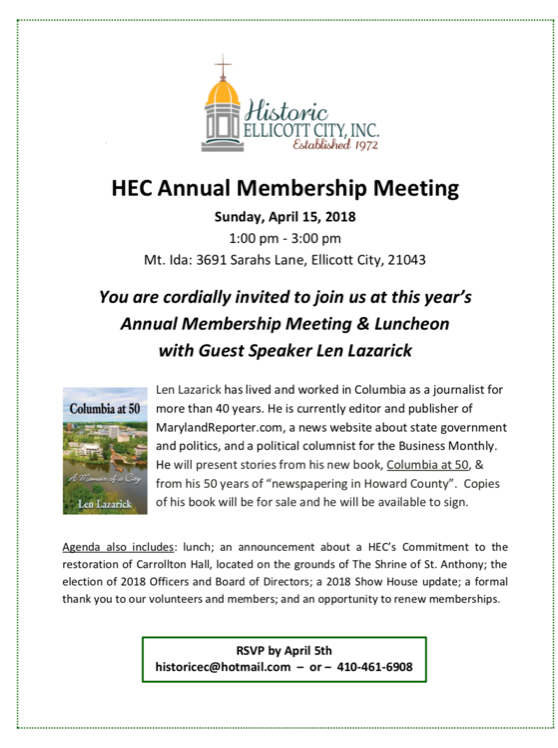 On Sunday, April 15, 2018, HEC held its Annual Membership Meeting during which the leadership for the 2018-2019 year was elected. Click Read More to view the complete list of members of our Executive Committee, Board of Directors and Advisory Council Members. 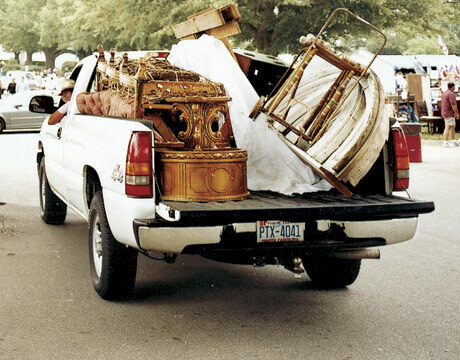 HEC is pleased to announce that this year’s Decorator Show House was a success. Thank you to everyone who visited White Hall. Restoration efforts following last year’s devastating Ellicott City flood continue to take new shape, now in the form of a grant program from a partnership between Preservation Maryland and Historic Ellicott City Inc. The grants, totaling $50,000, were awarded last month to several groups located in the historic district, and are intended to fund repairs and restoration work on historic buildings, as well as outreach efforts to advance the work of the organization. 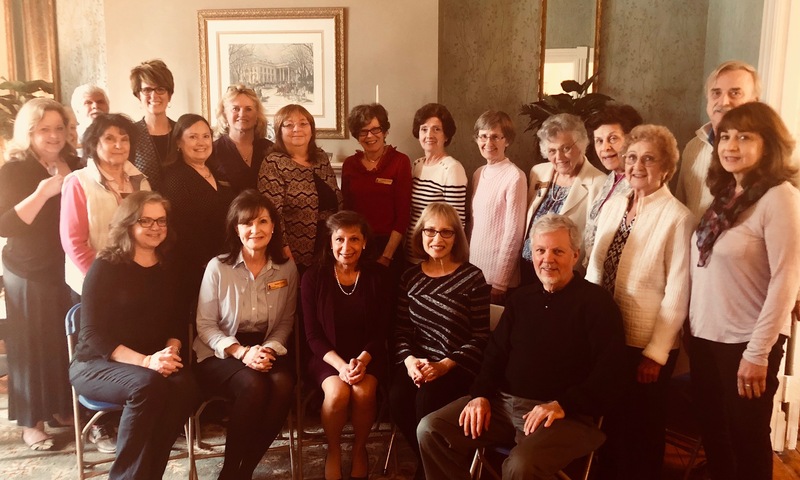 Money for the grants was provided in large part from funds raised from Historic Ellicott City’s annual decorator show house. and St. Luke’s A.M.E. Church. 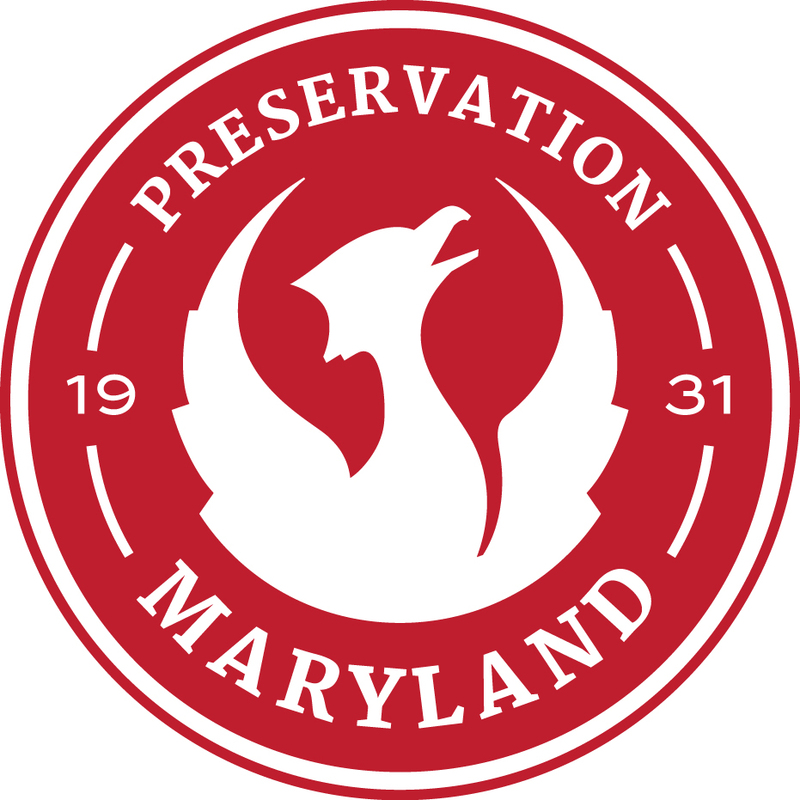 The complete press release and project details can be found on Preservation Maryland’s website: here.